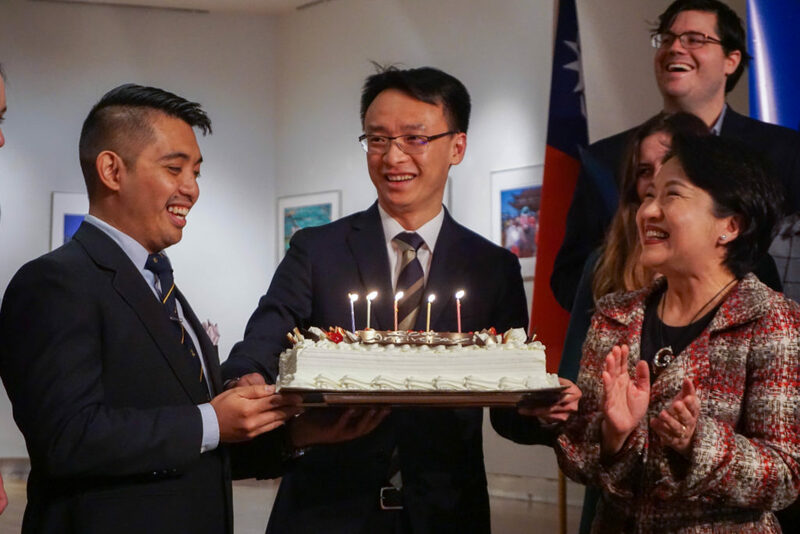 The 7th Manhattan International Film Festival (MIFF) was held at the Taipei Economic and Cultural Office (TECO) on March 25, 2019. 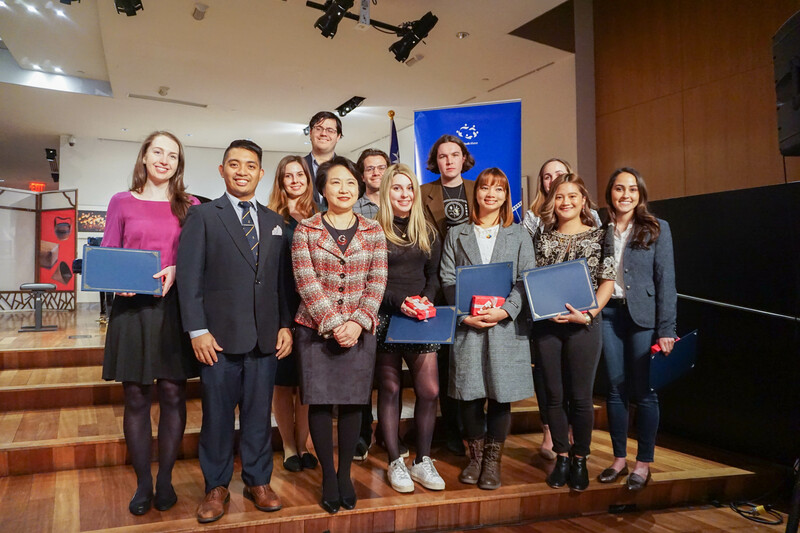 It was well-attended by the MIFF finalists, their family and friends, World Youth Alliance staff and interns, representatives from TECO and the media. To welcome the guests to this year’s screening, WYA President Lord Pomperada shared a few words. H.E. Ambassador Lily Hsu, Director of the Taipei Economic and Cultural Office, also addressed the assembly by sharing about the wonderful relationship between TECO and WYA. WYA was thrilled to receive a special birthday surprise from TECO as their way of congratulating the organization for reaching 20 years. Cocktails were eventually served in the lobby before the screening commenced in the theater. WYA Europe Regional Director Elisabeth Gudenus and WYA Asia Pacific Regional Director Mary Imbong hosted the program and the subsequent awarding of the winners. 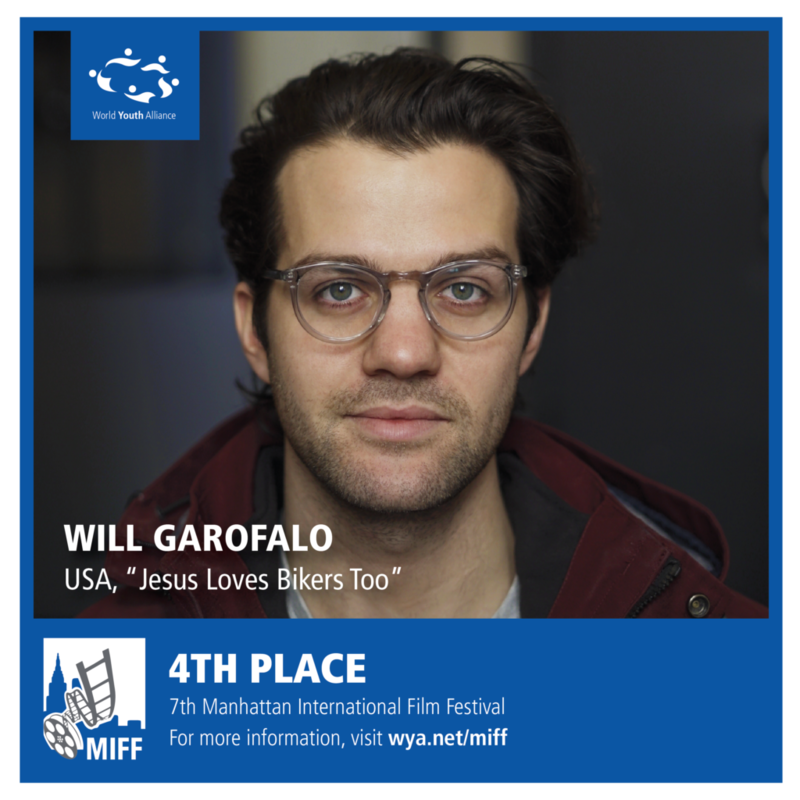 Jesus Loves Bikers Too (Will Garofalo, USA) placed fourth in the competition. It follows motorcycle enthusiast and spiritual guru, Jonny, as he opens his yellow curry truck in the lush hillside town of Biei, Japan. 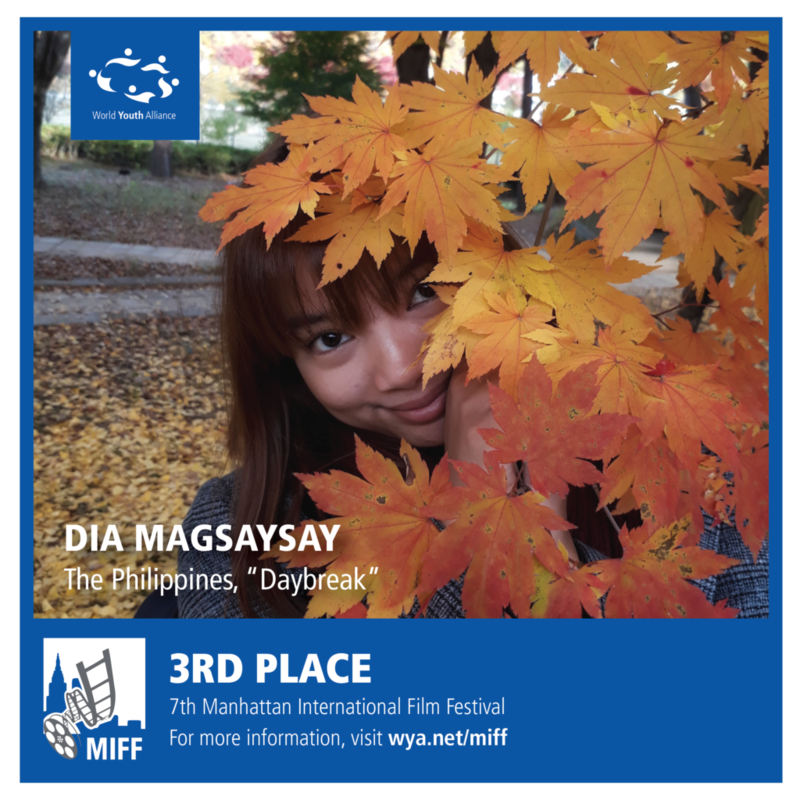 Daybreak (Daniela Maria Magsaysay, the Philippines) placed third. The film follows the story of Althea, a 6-year-old girl and her mother Susan as they cope with the sudden loss of the father, Ramon, a local fisherman. Althea, being very close to her father, can’t fully grasp the concept of death or a disappearance and believes that her father sailed off into the sun. 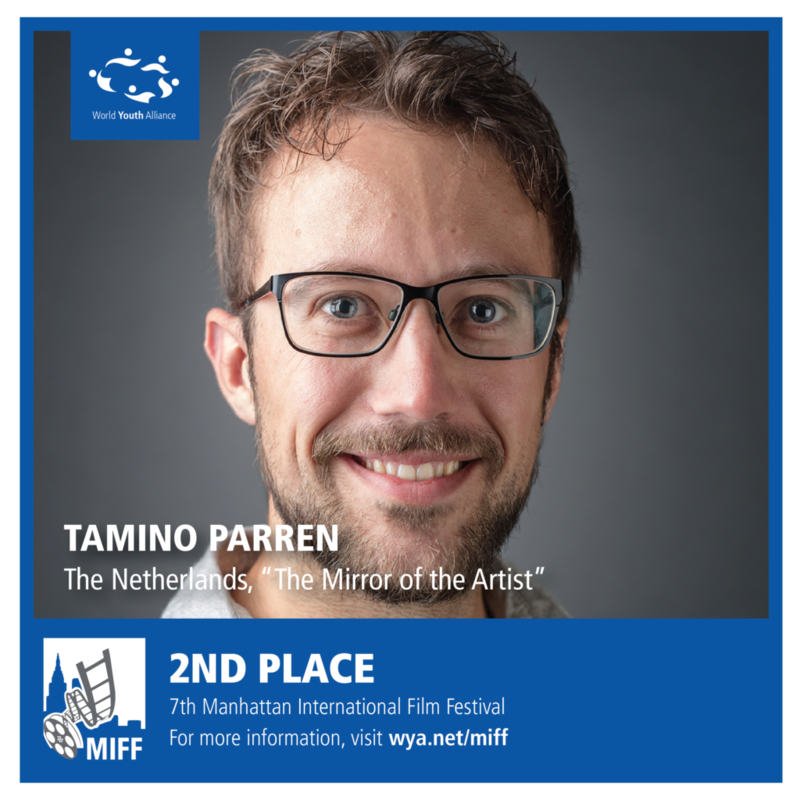 The Mirror of the Artist (Tamino Parren, the Netherlands) placed second. Impressionist Hans Hansen (83) lives and works in an old mansion in Maastricht in the south part of The Netherlands. His vision on art is reflected in the interior of his house. Although he seems very certain of his choices, apparently he is not able to produce without his “mirror”. In this short documentary, we meet a man who sets high standards for his craft. During his search for perfection the expectation pattern tilts, creating a different image of the man behind the artist. 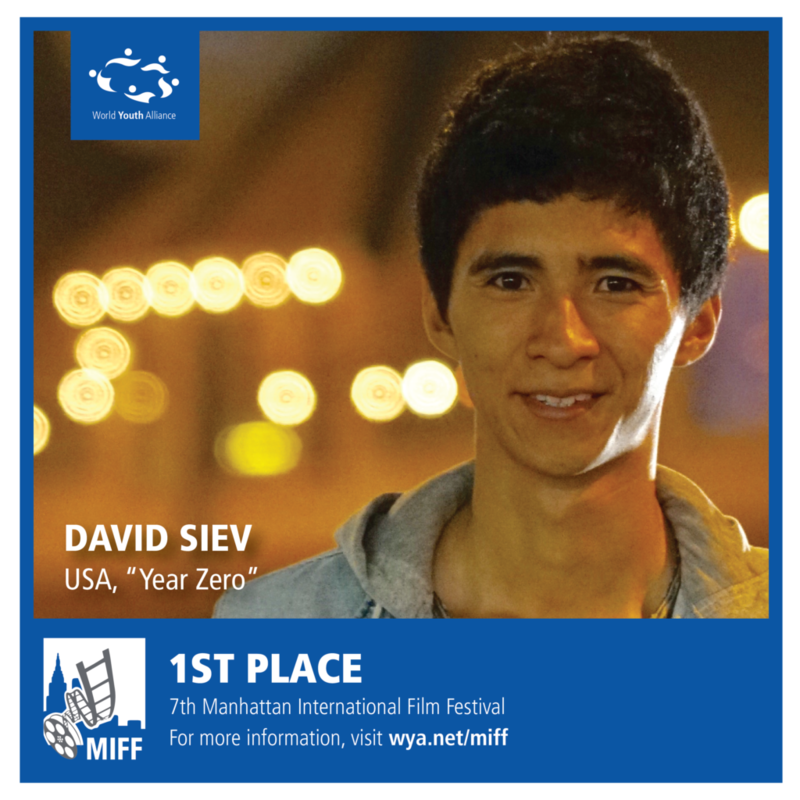 Year Zero (David Siev, USA) was awarded first prize. When the Khmer Rouge regime seized Cambodia in 1975, the country plunged into civil war and was ravaged by mass killings, torture, and famine. The Khmer soldiers were cold and ruthless, fully embodying Pol Pot’s philosophy towards the common people: “to kill you is no loss, to keep you is no benefit.” Faced with hunger and starvation, two brothers risk everything to ensure their survival, even with the odds stacked against them. The 7th MIFF finalist lineup boasted young talent from around the world, including Brian Adamkiewicz (Mexico, “Build Ramps Not Walls”), Caitlin Brunnock (USA, “Finding Refuge”), the George Washington University Documentary Center Bow With Me team (USA, “Bow With Me”), Jacqueline Prata (USA, “Bitter Sweet”), Jose Bryan Nonay and Ayie Bueno (the Philippines, “Indak ng Panahon”), Tommy Creagh (United Kingdom, “Father of the Man”). Congratulations to all the winners and finalists! Submissions for the 8th Competition of the MIFF are now being accepted. WYA invites young directors committed to creating films reflecting the depth of the human condition. The submission deadline is November 15, 2019. For submission guidelines, visit www.wya.net/miff.